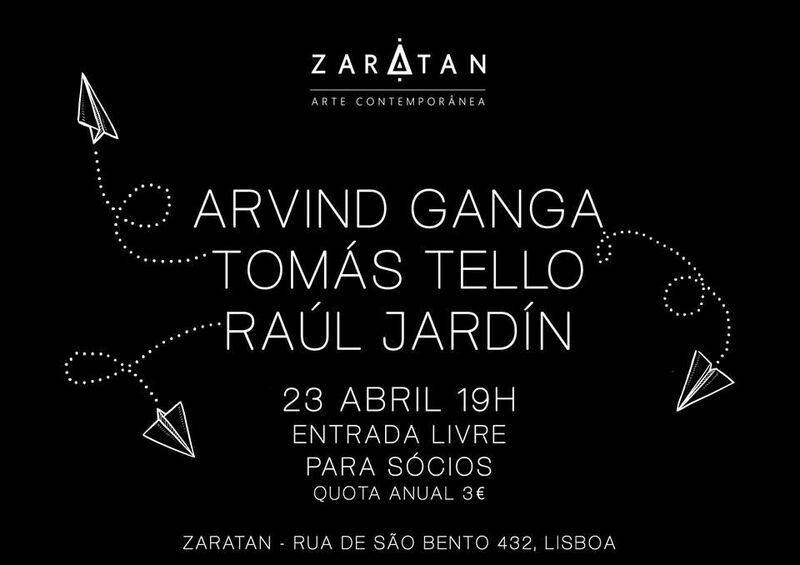 In Lisbon, during a short tour throughout the Iberian peninsula, the musicians Tomás Tello (PE) and Arvind Ganga (NL) present a concert at Zaratan. This is the only concert in Lisbon by the duo, that for the occasion invited Raúl Jardín (PE) to join them in a trio. He is a guitar player from Den Haag, the Netherlands. He takes a physical approach to guitar playing, employing objects and extended techniques to explore new sonic territories. His music draws from influences as diverse as noise and drones, North Indian ragas, experimental rock, and everyday sounds. Using free improvisation he brings these together into an intense, loosely structured, chaotic mesh that is bathing in the rays of a deep red sun. Ethereal noise with a punk-improv attitude. Arvind plays solo, improvises with like-minded musicians, and is active in music/dance improvisation. His music took him to play squats, galleries, clubs and festivals from Poland to Portugal, England to Slovenia, Turkey, Chile and Perú. He was born in 1981 in Lima, Peru.His work is deeply inspired by ancestral musical forms and ambient sounds. It also shows interest in the possibilities that a musician has to multiply himself. In order to achieve this multiplicity, it uses several devices that include D.I.Y electronics, interference devices for cassette players, guitars, samplers, voice, flutes, bells, etc. Its intention is to express the concern for contemplation, patience, and to establish a closer, warm and fruitful relationship with the sounds that surround us. Through his work, Raúl Jardín tries to imitate life using sounds that represent the simplicity of the usual. The results of his musical experiments seem a kind of field recordings that provoke sonorities that stem out from a particular approach to simple, the common and unreal elements such as locomotives, battleships, pounding, submarines that navigate in the sounds of the sea, even radio transmissions interrupted.